Usual and boring post with the outfits I wore the past weeks, I'm sorry I have nothing special to talk about ;u;. Now me and my friends are organizing a new fashion walk for september, again the next month I'll attend two different conventions so I'll have something different to share with you (I hope ahah!). Simple outfit with a new t-shirt from Hicustom.net I got a while ago, the print is really well done like the first t-shirt I got from them, I don't know why this time the t-shirt is too large on me even if it's the same model and size. The quality is still really good and I recommend to buy from them if you're searching for a cool shop with personalized items! This day was so hot and even if my coordinate was really cozy and simple I totally melted all the time x.x I borrowed the t-shirt from my bf 'cause he didn't wear it anymore, it's really cool but you can't see really well the print, I hope to do a better pic with it. I noticed I wore a lot of total black outfits in this period...so summery! 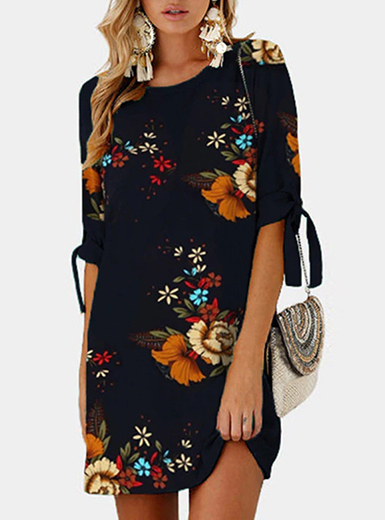 This dress is one of my favorites for summer, really cool and cozy, one of the best sales purchases from the past year! I didn't like a lot the sales this year, both local shops and online, I don't know but it seems the things are always the same, let me know what do you think! This outfit was the one I wore the most this summer (with some little different details, of course), it's really cozy but still cool, I don't joke when I say I already wore this t-shirt + skirt like 20 times, the funny thing is I always forgot to take a proper pic. Another super easy outfit I wore for a meet with my friends. The weather became incredibly hot (that morning there was 36°) so you can immagine how it's impossible to dress up properly when you only want to die or go inside a refrigerator. I want fall so bad T_T. Another easy outfit for a cozy day doing reviews and playing with WiiU! I feel really unspired during summer time XD but I did some shopping for autumn and I can't wait to wear my new things, I also ordered some new wigs! I think I need to sell some old ones 'cause I haven't got enough space in my closet anymore. Gothic coordinate perfect for summer, high platform sandals and black cozy long dresses are my favorite combination this year! During my school years I was a gothic girl, sometimes I feel nostalgic and I wanted to wear something that reminds me that period ahah! Lastly not an outfit but I would like to share with you my new giveaway! The past month was my blog anniversary so I decided to take some lovely things to thank all the support you gave me during this last year, I hope you'll apprecciate it! You can join it HERE. its turned all cold autumn here now so no more cute summer co-ords for me :( I love the maxi skirt and your chokers! Really cool outfits *-* I'm in love with your clothes, and more with your shoes! thank you so much dear ♡♡ I'm really happy you like them! Your outfits are so cool like every time.